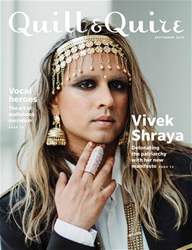 Digital Subscriptions > Quill & Quire > September 2018 > What the Dickens? RUPERT BROWN, the protagonist of Very Rich, is a Tiny Tim–like character who has a Scroogelike experience. In this inversion of A Christmas Carol, the poor child is the one who receives three surprise visitors. They open his eyes to the past, present, and future – and give him a taste of how the other half lives.